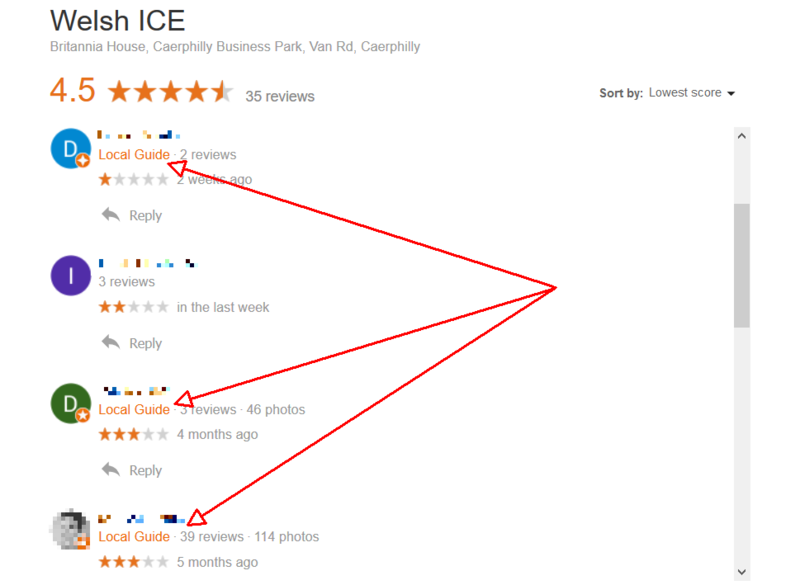 I checked out the profiles of the three Local Guides who gave mixed or low reviews to Welsh ICE and noticed that they often left reviews in fits and bursts. One of them had left 29 reviews in one month (yes, I counted) but only 8 reviews in the following 4 months – most of which were random ratings, which could be accurate experiences of the reviewer, or just randomly allocated ratings to random businesses in order to increase their number of points. Another one seemed to have literally inched over a level milestone (Level 4) by a matter of points. Juxtopose this with the rules set for businesses, for when they seek Google reviews from happy customers. They’re told that it’s fine to “remind customers to leave reviews” (source) but that they shouldn’t “offer money in exchange for reviews” (source). This is fine – in fact this is as it should be (although similarly, one could argue how you can prove or disprove that a review has been paid for, but that’s a whole other issue). What irritates me however is that by incentivising Local Guides with discounted products (à la Google Play), Google seems to be saying that Local Guides can play by a different rule-book. “Leave reviews and we’ll reward you with a freebie!” But what about businesses? I’d wager that if businesses did something similar, there’d be hell to pay. I can’t say this for sure, but I’m pretty sure that an old version of Google’s review guidelines even said “offer an incentive” instead of “offer money.” I also once had a client who asked me if he could offer his clients a thank-you gift (e.g. 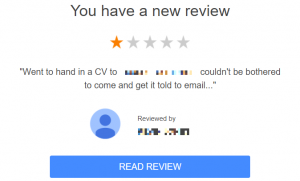 a bottle of wine) if they left a review, which I strongly advised against, as I imagined that Google would strongly take issue with it, and his business’ listing could get into trouble if he ever got found out. But Google are essentially doing this with their Local Guides: the perks/discounts are their thank-you gift. I took the time to post on a Local SEO community on Google+ asking if anyone was a Local Guide or knew much about the program (I won’t link to the thread directly, as one of the contributors spoke quite critically of the program, drawing similar conclusions to me in this post). However a few people confirmed that Local Guides didn’t need to be in close proximity to a location in order to review it (confirming my suspicions that they might not have even ever visited the businesses they’re reviewing), which is the same as regular Google users (non-Local Guides). Not only that, but in addition to the Google Play perk, they had been offered “3 months of unlimited digital access to NYTimes.com, Android and iOS news apps – plus 2 months of the Times Crossword” for reaching Level 7, and confirmed that other perks had existed, such as getting extra space on Google Drive. Now please don’t get me wrong… Before I get bombarded from angry tweets and comments from the Google Local Guides community, I’m sure that 99% of Local Guides are doing things properly and leaving genuine, helpful reviews – all of which is contributing massively to the Google Maps ecosystem. I’m a strong believer of ‘community spirit’ – and I know that if someone had something bad to say about one of my communities, I’d defend the heck out of it – even if it was completely valid criticism. But my criticism isn’t with Local Guides, nor the Local Guide program as a whole: it’s with Google’s gamification and incentivisation of Local Guides that’s the issue here. 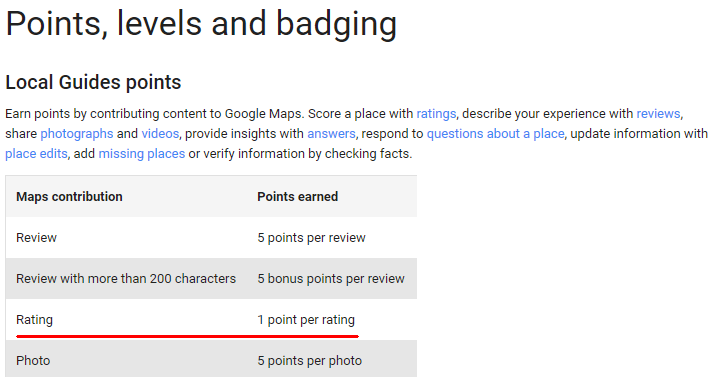 I honestly think that Google should consider reviewing (no pun intended) its points system. Some of the map contributions – such as photos, answers, edits and fact-checks – demonstrate that the Local Guide might’ve actually visited the location and is legitimately familiar with it. Leaving a random 4-star rating however? Or a 2-star rating? Or a 1-star rating? Who knows. Maybe they know that doing that 10 times will get them 10 points, and 10 more points is all they need for that Google Play freebie, or some other Google-related freebie or discount. I’d also ask Google to advise against monetary prizes (and you could argue that a discount is a type of monetary prize – after all, the person is essentially saving money on something, and that saving can be spent elsewhere), otherwise they’re only going to encourage this type of behaviour. In the meantime though, businesses will suffer. Even removing obviously fake/incorrect reviews is currently a painful process… For example, ICE previously had a 1-star review from someone who named the business he was reviewing in his review, and it wasn’t ICE (in other words, he’d left it against the wrong business: ICE, not his intended target). After multiple attempts of reporting the review (via the usual ‘Flag as inappropriate’ method) did absolutely nothing, I tweeted @GoogleMyBiz asking if they could take a look, and after a few DMs went back and forth, and a week or so passed, they removed the review “due to policy violations.” What an absolutely ridiculous process. Businesses shouldn’t have to jump through hoops and use an entirely different website (Twitter) in order to get an obviously incorrect review removed. I really do hope Google improves this process as well, because it’s a complete and utter joke at the moment. People have been abusing Local Guides or as long as I can remember and I would say it is a lot more than the 1% that you suggest who are abusing the system. Once people realise they get points, nice little badges and think it gives them a bit of authority they will write reviews of anything to boost their scores. Then, once they think they have gained authority they give positive reviews to clients and negative reviews to rivals. The review system has been a major mess for a while, however the past years, the spammers and trolls have had carte blanche to run amuck. It is impossible to get obvious fake reviews removed when the profile reviews countless businesses in the same industry in various states and countries. Trying to get just a star rating alone removed is near to impossible. Google does allow the use of aliases, so there is no way to determine if it was a customer or a troll. The GMB forum is filled with people claiming the negative review is fake and wanting to share their client list. Google needs to focus energy on reviews by focusing on IPs where reviews are coming from, are reviewers reviewing the same business types in various cities states and countries, are the same users reviewing the same businesses consistently. If i can spot these patterns with the naked eye, surely more sophisticated algorithms could. The GMB forum shouldn’t have to be the go between business owners and Google to get fake reviews removed in 2 to 3 months. Until that happens, I will keep raising the issue, identify and report businesses to Google, the media and proper authorities. Allthough there may be some local guides who are chasing the rewards of having some sort of level. I believe that most local guides are sincere in there reviews. It is far to easy to say that they are the problem. A a local guide I review businesses sometimes without being a customer myself. If I am in a shop for instance where I can see how staff handels customers, or if it is obvious that the shop is clearly not onto par, I will give it a low review. By the way. I am about to become level 7 and have never used any of the perks that come with any of the levels. I just recently started as a: “Local Guide” and it is interesting because they pull all of the places I have traveled to (from Google Maps) and asks me to review them. It is a very neat idea and there are no incentives, currently, to providing any reviews. Thus, there is no reason to lie and give a false rating. Obviously, people are very strange and disturbed so they will just comment/rate places they have never been to because they want to “level-up” which gains nothing haha. I think it is a great resource to help other people, but, as most things, if (and it will be) abused – it can be damaging to businesses. Good news: I can actually edit other peoples posts which creates a bit of a helping-hand if you will to businesses I believe are being abused via these comments/ratings. I just discovered these fake reviews on a site that doesn’t even exist yet , our community garden is marked on Google Maps but hasn’t been established. There are 6 bogus reviews – how could a ‘local guide’ (whatever the hell that is) review something that isn’t even there. I’m pissed off. My competition has gained hundreds of fake positive reviews from all over the country, in an industry that it’s impsosible to do so many jobs in in such a short space of time. The majority have indian usernames & review mostly indian places. The google review system should be shut down as they are not providing a service to anyone. On top of this the director reviews his own businesses under his real name yet google does nothing about that. Google told me to get positive reviews to conquer totally fake 1 star no comment reviews but when you are facing competitors who are clearly hiring people to leave them reviews it doesn’t make much difference! The entire google review system is majorly flawed & verges on criminal. We received 2 ratings (1 star) by 2 LOCAL GUIDES who had never been a customer, and didn’t put any comments neither!!!!!!! 2 out of 5 reviews! 1 star rating from the 2 local guides is a total of 3,4 rating. they’re still here in one week. Local guides and this process are truly hurting businesses and hard working people. Its a very unfair process. Most of the guides who have reviwed my company have never stepped inside the front door. Just last week I watched a young man stand outside my ladies’ clothing store, look in and start to type something on his phone. His friend came by and they started chatting about checking in and points etc. I thought there was no way he was rating my business as he didn’t step a foot inside the store. But lo and behold yesterday I just received a three out of five rating from a local guide (no review). When I googled the person who had left the review it just so happened to be the same guy. Have you found that Google’s review scoring system gives more weighting to a Local Guide’s review score? We recently got a 1 star review from a customer who has Local Guide status. It doesn’t seem to matter how many 5-star reviews we get from our very happy customers, our score simply isn’t going back up. I think its more concerning, reading this article, and the comments, that you guys are “looking up” the reviewers personal information. This is why people use fake names online, to hide from you creeps. Local guides? Jokers… Typical comments are like “alot of parking”, “staff is friendly”, “nice food”… I doubt they even visited any where and wrote the review for the sake or scoring. i am a local guide who has been doing posts regularly for about 4 years now, although my focus is mainly cultural, but still I have done a lot of restaurant/service industry type reviews. When I see some of the complete garbage my “fellow reviewers” post I am totally appalled. My strategy is simple if I get bad service, then I would go back to the business explain the situation then definitely give them the benefit of the doubt as I fully understand how much a bad review can affect a business/owners and of course their employees. I quite regularly send feedback to Google and one suggestion I made being that well known local guides like myself with a very good track record/posting in depth quality reviews should be able to be judge/jury and executioner. A possible variant of the teams Facebook have setup to monitor content. There are many cases where I would do a ban/delete without hesitation against some of these idiots that post, some I would add are total morons. I currently have approximately 65Million views on Maps and am starting to question Google Maps and see that the Apple Maps/trip advisor ecosystem has been sorted unlike Google which in some ways is going backwards. Really very sorry to read the pain this has caused some of the business owners posting here, and it is really unforgivable, and Google needs to urgently sort this out, and not reward people because they run around a shopping mall shot 1000’s of shots/post fake reviews then “acquire” level 10 status. BTW..Never had a bonus of Google I do this because I enjoy it. Business should just have a legal right to opt out of reviews altogether. It seems like people just get to hung up on a negative review. Maybe this option should be pursed in State Legislatures. do Local Guides get more points the more positive a review is. eg. a 5 star review gets them more points than a 2 star review ? I have given so far one review about a Belgian business, a negative one. That was about a year ago. Recently, i got another negative experience with another Belgian business that I want to briefly and factually write about on google maps. What I find very odd -and wrong even- is the fact that random people can look me (the reviewer) up and find not only the negative review about business no2 but also the negative review about business no1. Or is there a setting on my google account that can avoid this look up of my own historical reference writing? 1) make “star(s) only” reviews impossible. In other words, a minimum of x characters is needed before you can publish. 2) the reviewed business is the first to read the negative review. The reviewed business can keep it’s “google map wall” clean of this particular red stripe for 72hrs, simply by one-click contesting it. The reviewer then has 72hrs to upload factual data (linked to the review) e.g. earlier communication with the business, supportive documents, supportive photos. The concerned business only receives this material. If this upload happened within 72hrs… no judge needs to read about it… the negative review will be published. 3) when the reviewed business still isn’t happy with the perspective of what’s gonna be on their wall soon… They can go to a “real world” lawyer / court demanding the publisher refrain from publication. Cordial greetings from Ha Noi, Viet Nam. As a business owner that comments on every review, I knew there was something wrong when I saw that a couple of my 2 star and 3 star reviews were posted by people who posted 29 reviews all in the same hour. I am so angry now knowing that this is a thing!! I knew it had to be impossible for someone to review 29 businesses in four different counties. I had two people do this on the same day, knowing they had never been here. Why Google, would you give incentives to people for a review??? This hurts businesses my reviews are always 4 and 5 star and now my rating is compromised. We have been looking at restaurants in Albufeira as we are about to visit within a week so very interested to see reviews in the area. Within seconds of looking at various restaurants we noted, conversely to what is written here, that some restaurants had been given 5 star reviews by ‘Local Guides’ which were at odds with other regular reviewers of the same restaurant who were giving 1, 2 or 3 stars. We immediately thought that these Local Guides were being paid by the restaurant to enhance their star ratings as the difference in the reviews was very apparent. I guess you can only trust your own reviews! We shall try to put our own in after our stay. Interesting article. Our business has has 42 5-star reviews. Then last week and on just minutes ago, we received two one-star reviews from “local guides” that are not customers. Our business is a trash bin cleaning business with a specialized truck. The first review stated that we had nearly run them off the road with our truck and they would never use a business that was so careless on the road. We replied to the review and apologized and asked them to call us to provide more detail. No call from them. Only my wife and I drive the truck, we are acutely aware that it is a rolling advertisement for our local business and drive accordingly, we a perplexed. The second review came just minutes ago. This “local guide” suggested that those considering our services consider their neighbors as our truck is loud and it takes on average 30 minutes based on his experience. This is ludicrous. We charge $10/month, if it takes us 30 minutes to clean a bin we would have been out of business a long time ago. I was suspicious with two 1-star reviews with minimal written critiques, both from non-customers. So, I googled: negative google reviews “local guides” and came across your article. That being said, I guess the best thing to do is just address the complaint online. I am guessing there is nothing we can do to get them removed, per se. Ive unsuccessfully tried to report the Guides via Local Guides Connect. Have tried to have the reviews removed via flag as inappropriate on google My Business account to no avail. I am told by a google My Business consultant (via their talk to us option on my account) that the reviews will not be removed as they do not violate any google review policies. So by omitting the conditions (in the google review policies) that a reviewer must be a natural person and not a bot, and that a reviewer must have at the very least visited a business, Google (google my business and google local guides) accepts and condones fraud. A bot can lie and get away with it, and a person can also lie and get away with it. I just dont accept that. Where in the world is fraud acceptable? Its a bit like saying our policy is to accept reviews from dogs, And because its MY POLICY you cant argue with me. Sorry if my train of thought is a bit all over the show but Im furious. Is there any way legally to force google to abide by the laws of my country, or any country for that matter? This is technology for you. Some people just don’t have the same ethical make up as others. I sell (as an agent) pre built websites with a pretty good SEO tool (which helped my 1st customer onto page one in his area in 6 months. 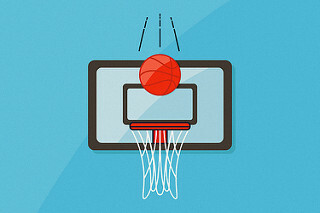 I’m new to SEO and all the Google stuff but I am an IT person so I find my way around. One of the first things I noticed is that you can add yourself to Google maps (which is a great help to SEO). 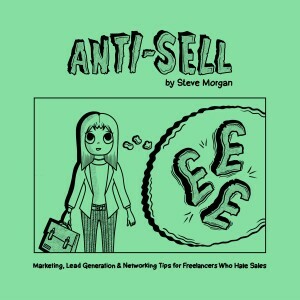 The problem is that you can give yourself (or your customer if you do websites) 5 star reviews and the same with negative reviews for the opposition. 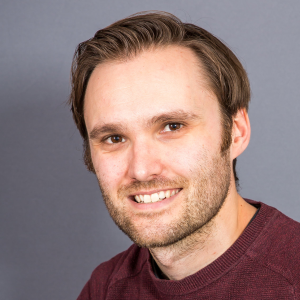 Since we know we can’t rely on people to be ethical we need Google to have a system that’s reliable, honest (as far as possible) and accurate for both the service providers and their prospective customers. I’ve seen instances where people were being honest but gave 1 star reviews for reasons out of the business owner’s control. 2 examples: 1. A local business got a 1 star review because the customer got lost in the area and couldn’t find them. The second review was a complaint about music in a nightclub being too loud so one couldn’t have a conversation. These examples are just a drop in the ocean. People can be evil and malicious and contacting Google is impossible, never mind having a human fix anything. I’m sure people who work at or for Google don’t tell anyone they work there. On a side note, I live in South Africa and there is currently an ad campaign being run by the country’s official tourism board which is very subtly telling people not to trust reviews on websites or social media but to go by the official tourism board ratings (which I agree with). To my knowledge, Google will only remove a review if it definitely violates one of Google’s review rules (listed here). For example, did you use any swearwords or did you ‘attack’ the contractor in the review? I managed to get a Google review removed against my parents’ business a few years ago (detailed in this post) and I think the main reason it got removed is because of the way it was worded – it was like a personal attack. I guess you could try again with different wording and see if it sticks this time? Ahh I see. Sorry Stephen, I don’t know why for sure – I can only speculate. Perhaps a Googler reviewing the review saw “I would never use his service” and took that to mean you’d never hired him (rather than in the context that you actually meant, i.e. that you’d never use him again), and that’s how he was able to get it removed. Or maybe there’s some other policy violation. Or maybe he got lucky. It can often be hard to get reviews removed so they must’ve taken some issue with it.